Roman J. Israel, Esq. is set in the underbelly of the overburdened Los Angeles criminal court system. Denzel Washington stars as a driven, idealistic defense attorney whose life is upended when his mentor, a civil rights icon, dies. When he is recruited to join a firm led by one of the legendary man’s former students — the ambitious lawyer George Pierce (Colin Farrell) — and begins a friendship with a young champion of equal rights (Carmen Ejogo), a turbulent series of events ensue that will put the activism that has defined Roman’s career to the test. An Oscar winner accepted among the mainstream elite, for Christians, Denzel Washington comes across as the ideal film star, he is also open and even evangelical about his Christian beliefs. Face to face, the 62-year-old speaks like a Pentecostal preacher about his belief in Jesus Christ and his new movie, Roman J. Israel, Esq. Denzel Washington says the legal drama, like many other projects in his repertoire, is influenced by his faith. Its no wonder why Hollywood has used Washington’s to attract faith audiences around the world like 2010’s Book of Eli. 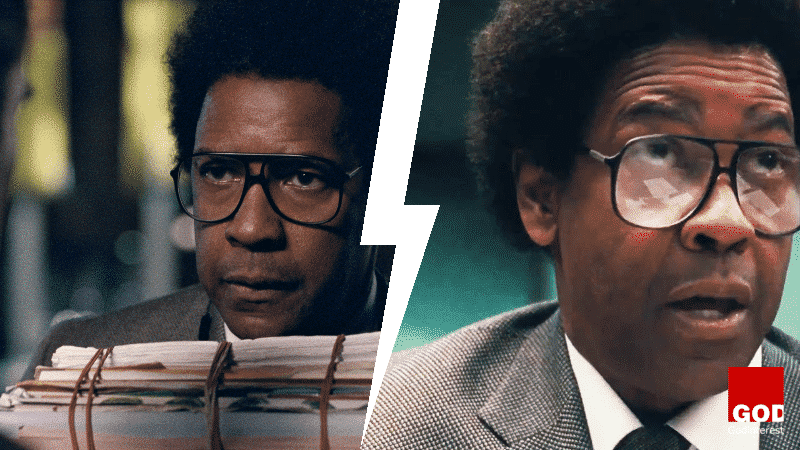 Washington’s character in Roman J. Israel, Esq., puts his values ahead of anything else in his life. To stay true to his ideals, he sacrifices relationships, money, and reputation – a true believer in justice. The desire to stick to one’s values, even in the face of hardship is a theme Christians can get behind and relate to. However, Roman J. Israel, Esq. is more about the inspirational power of humanity than the power of God. Washington said that the good intentions of the movie and the characters were a big part of the reason he joined the project.